We all know the problem: Concentrated singing in choir, tired eyes at late evening rehearsals, and bad light. Our Vocal scores XL guarantee relaxed singing, scoring high marks with their clear-to-read musical layout and high-quality presentation in a pleasant-to-use large format. 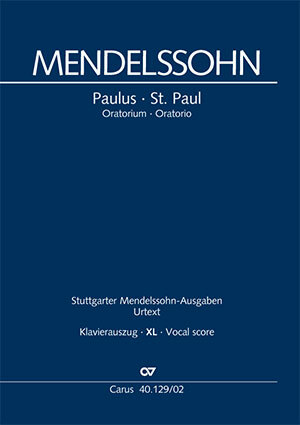 This month we are publishing three new Vocal scores XL – Mendelssohn’s oratorios Elijah and St. Paul, and Beethoven’s Missa solemnis (THE work for the Beethoven anniversary in 2020!). Not only these, but also carus music, the choir app, and the practice CD series Carus Choir Coach expand the carusplus range with attractive practice aids for our most popular editions. The 29 motets in Heinrich Schütz’s Geistliche Chor-Music 1648 are among his most popular works. We are now expanding our range with a budget paperback edition of this collection: already available are the cloth-bound volume from the Complete Edition, separate editions, and a prize-winning CD recording as part of the Schütz Complete Recording. Have fun discovering about our new issues for May. With Vocal scores XL we are offering important choral works in reader-friendly large print. 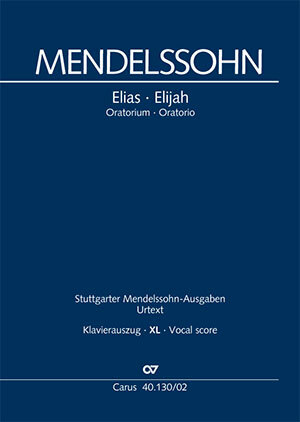 We are publishing Mendelssohn’s two great oratorios St. Paul and Elijah this month in our Vocal scores XL format. The complete sacred vocal works of Mendelssohn are available in critical new editions as well as a complete recording conducted by Frieder Bernius. Also new this month is the Vocal score XL of Beethoven’s Missa solemnis– in good time for the major Beethoven anniversary in 2020! 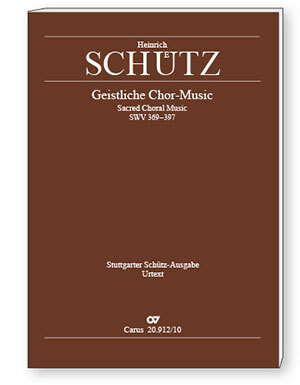 All the motets in Heinrich Schütz’s Geistliche Chor-Music 1648 are now available in a budget paperback edition. The collection of 29 motets for five to seven-part choir is one of Schütz’s key works, and was described by the composer himself as a model for composing without basso continuo. All the motets are also available in separate editions. 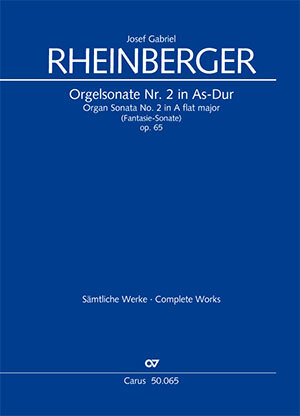 Rheinberger’s organ music is the part of his œuvre which remained, at least partially, in the repertoire during the years between 1920 and 1970, and which since then has been the starting point for a “Rheinberger renaissance.“ Now that his organ works are again available as part of the critically edited Complete Edition, organists can turn to Rheinberger as a matter of course. 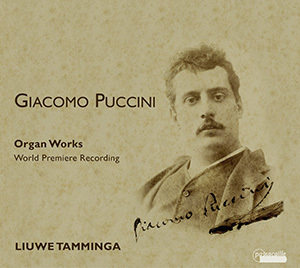 Now that the manuscripts of the organ sonatas have resurfaced, it has finally become possible to form an acquaintance with the major part of Giacomo Puccini’s early compositions in Lucca, which until now were known only from anecdotes. The present selection with 12 works sheds light on this segment of his oeuvre. A CD of previously-unknown organ works is now available from us. 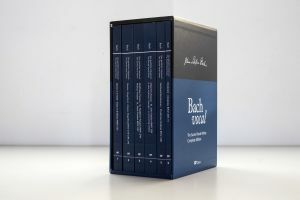 Johann Sebastian Bach’s sacred vocal works are available complete in three box sets. 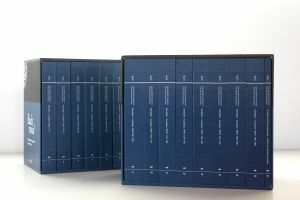 All the slip cases in the Complete Edition are also available individually. Order these at the attractive introductory price – only valid through 30 June 2018! Despite their high musical qualities the Lutheran Masses, as they are known, are often overshadowed by other church works by Bach. 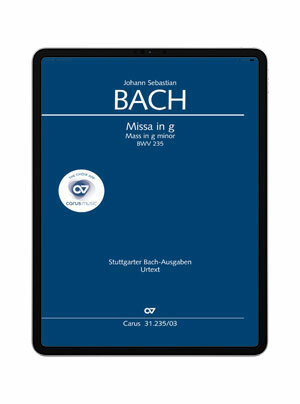 The Mass in G minor BWV 235 is newly released in May in carus music, the choir app. With carus music, the choir app, you can follow the music while listening to a top-class recording on your smartphone or tablet, and easily practice your own choral part with the help of a coach. The coach is based on individual recorded parts sung by the Kammerchor Stuttgart, making practicing even more enjoyable! Not familiar with carus music, the choir app, yet? 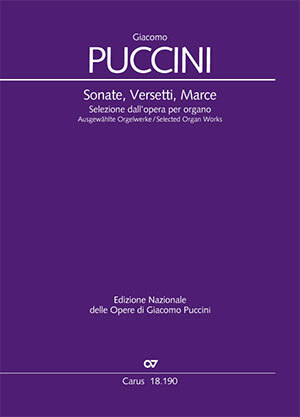 Over 80 choral works are already available in it. You can discover more about them here! 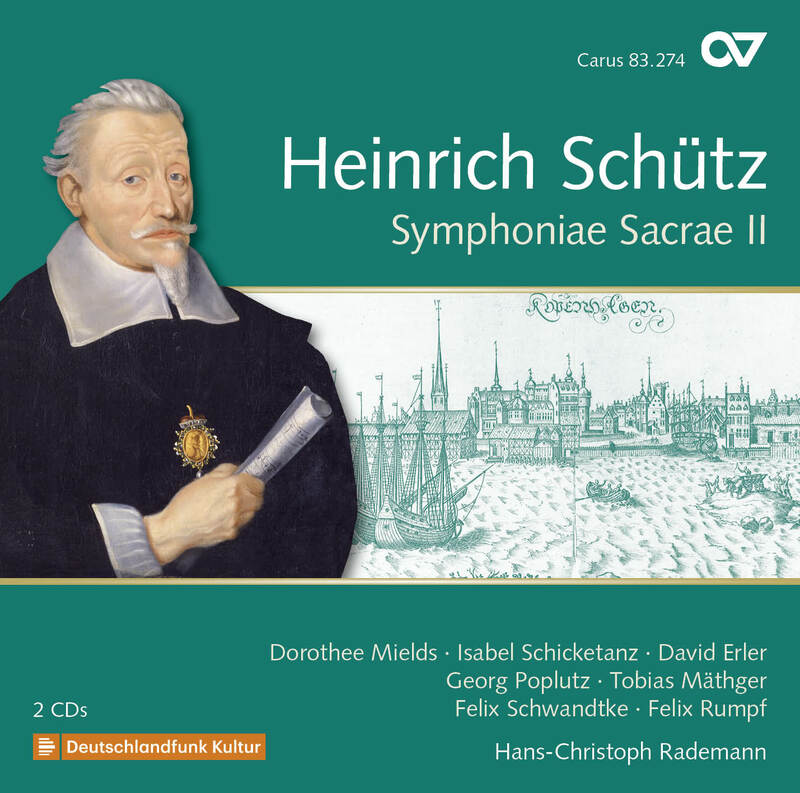 The 27 concerts of the Symphoniae Sacrae II by Heinrich Schütz represent milestones in the development of the German-language sacred concert for virtuoso vocal soloists, instruments and basso continuo. In Volume 18 of the complete Schütz recording, Hans-Christoph Rademann, supported by selected instrumentalists and excellent soloists such as Dorothee Mields and Georg Poplutz, has once again created a recording of exemplary quality. 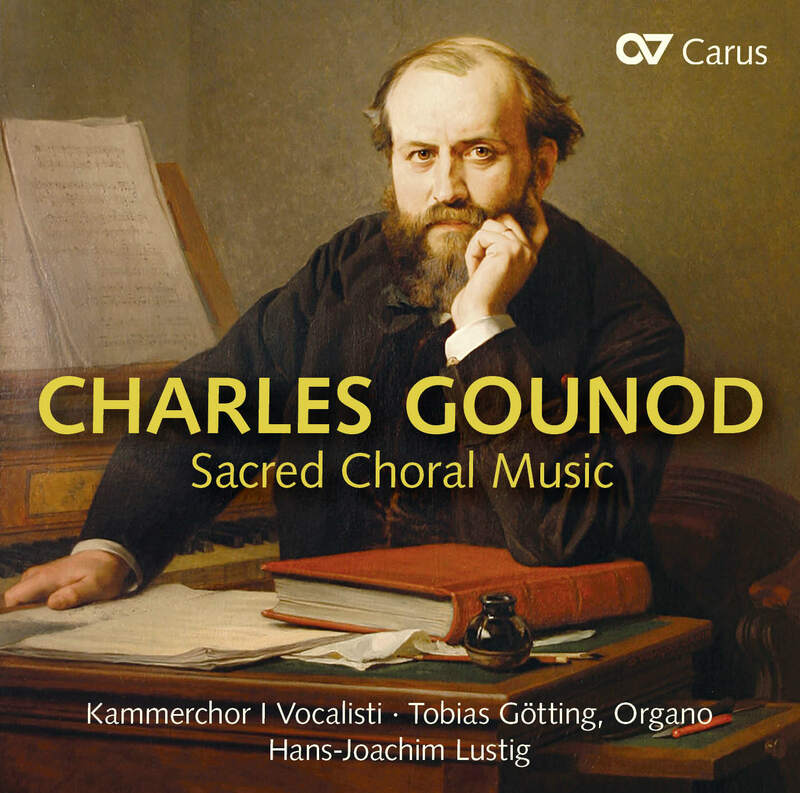 Newly released for the composer’s 200th anniversary, an outstanding recording by the chamber choir I Vocalisti conducted by Hans-Joachim Lustig containing Gounod’s oratorio Die sieben letzten Worte des Erlösers am Kreuze/ Les sept paroles du Christ sur la croix and other sacred compositions. 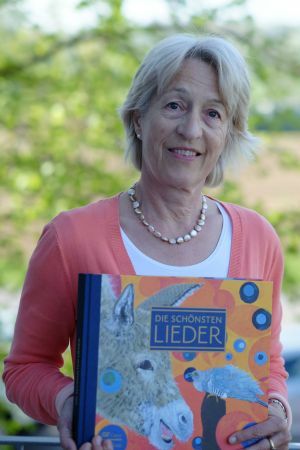 The first thing which struck Susanne Keck was the unusual, large, square format of the song book Die schönsten Lieder (The most beautiful songs). Followed by the colorful cover with the cuckoo and the donkey – that was one of her favorite songs in her childhood! Of course she wanted to explore further!